New research from media analyst firm Ampere Analysis shows that despite a global march to Subscription Video on Demand (SVoD) viewing on services like Netflix and Amazon Prime, France solidly bucks the trend with the lowest uptake of SVoD among countries surveyed. This is despite having one of the highest uptakes of paid television. Data from Ampere’s latest survey shows that French homes are the least likely among 14 countries surveyed to take SVoD overall and the least likely to take SVoD with a companion pay offer. On-going research by Ampere Analysis has shown that, in Europe and the US, homes are increasingly likely to supplement their viewing by combining SVoD with a pay TV service from a cable, satellite or IPTV provider or to take SVoD without a pay TV service at all, but the French still prefer traditional pay TV services and are not paying to also add SVoD services like Netflix. Ampere Analysis polled 28,000 people across 14 markets to evaluate their TV consumption habits. The research reveals the French market’s unique character. ● Despite having one of the highest rates of pay TV uptake among countries surveyed, French pay TV homes are the least likely to also take an SVoD subscription to complement their pay TV service. Of the homes taking pay TV or SVoD, only 32% in France take both, the lowest rate among countries surveyed. ● French Internet users are more than twice as likely to prefer pay TV over SVoD. Overall, 31% have an SVoD service compared to 76% who take a traditional pay TV offer. ● By comparison, in the US 72% have SVoD and 71% have pay TV, and in the UK 67% have pay TV and 58% subscribe to SVoD. ● While the US and most of Europe is heading rapidly towards SVoD being an essential add-on to pay TV, France continues to resist. 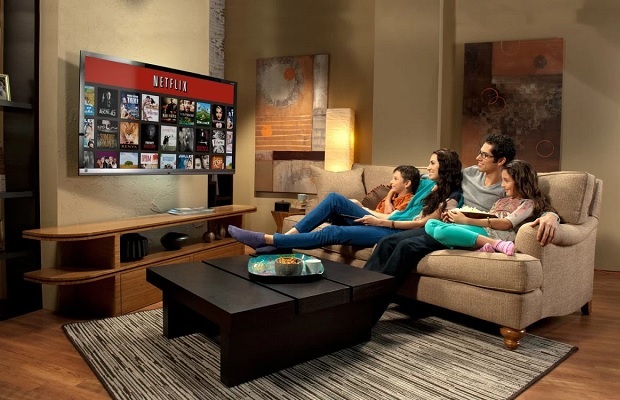 ● In both the US and UK, pay TV in combination with an SVoD service is now the most common way to take paid television, with fewer homes having pay TV without SVoD in these countries.